KOMPAS.com - The woman and her handbag as inseparable. Wherever she went, handbags are mandatory items. Not infrequently, used as a complement to the appearance of bags, which cost millions of dollars that was purchased. Later, even the news that Indonesia is a potential market for the famous handbag makers, namely Louis Vuitton, Coach, or Hermes. Not wanting to stay away from the bag, a lot of women who were in the cafe was forced to ask for additional bench just to put her handbag. This makes the flow path at the restaurant or cafe so narrow. Maybe you had ever experienced anything like this. Should be left on the bench handbag additional unseen behind us? Wow, must be vigilant. Want to put it on the dining table? Not polite. If you put it behind our backs, uncomfortable. Placed on the floor? Besides dirty, there is also that taboos. Then, what? KOMPAS.com - Wanita dan tas tangannya seakan tak terpisahkan. Kemanapun wanita pergi, tas tangan adalah barang wajib. Tak jarang, tas dijadikan pelengkap penampilan, sehingga yang berharga jutaan rupiah pun dibeli. Belakangan malah ada berita bahwa Indonesia merupakan pasar potensial bagi para pembuat tas kenamaan, sebut saja Louis Vuitton, Coach, atau Hermes. Karena tak ingin jauh-jauh dari tasnya, banyak wanita yang sedang di kafe terpaksa meminta bangku tambahan hanya untuk menaruh tas tangannya. Hal ini tentu membuat alur jalan di restoran atau kafe jadi sempit. Mungkin Anda pun pernah mengalami hal seperti ini. Harus menitipkan tas tangan di bangku tambahan yang tak terlihat di belakang kita? Wah, harus waspada. Mau taruh di atas meja makan? Tak sopan. Kalau taruh di belakang punggung kita, tak nyaman. Ditaruh di lantai? Selain kotor, ada pula yang bilang pamali. Lalu, bagaimana? 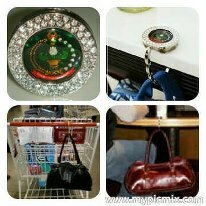 "This purse hanger is not familiar in Indonesia. In fact, the benefits of this hanger bag big enough to put the bag in a safe and clean. Moreover, if the bag is BRANDED. Surely the owner does not want the bag dirty if put under the floor. So with a bag hanger is dross owners could put a bag over her hanging. In 2010 I took the initiative to create a logo Bag hanger Organization. And indeed to a certain organization logo bag hanger not exist in Indonesia. Bag hanger is the first time I made is Bag Hanger PERSIT logo and BHAYANGKARI logo, with quantity manufacture 1000pc Bag Hanger. Which consists of 300pc Bag hanger PERSIT, 300pc bag hanger BHAYANGKARI, and 400pc bag hanger various motifs non Logo. After negotiations and Speaking directly to the Supplier in china zhow ghuang via Phone, .. Incidentally dated March 21, 2010, .. Suppliers bag hanger existing business needs to Indonesia, ... 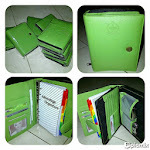 Finally, on March 27, 2010, we promise to Meet Orders Talking bag Hanger, ... time appointments meeting place at the Orchid Garden Mall Starbuck we arranged to meet, ... so, that day early in the morning I went to Jakarta because I had to pick mama first to Cipinang,... that time I was accompanied by my mother, After we met (Me and Supplier) and talked a lot of about Bag hanger, at the time I do not take pictures draft logo Persit and Bhayangkari, but I gave 2 pieces badge Persit and Bhayangkari. I hope my first launch product Bag Hanger, can be booming and many are buying this bag hanger logo. Thank God it turns out shoppers bag hanger respond very well, ... they like the design. Bag hanger persit & Bhayangkari unique. 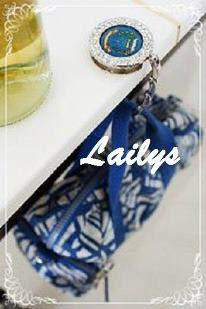 Besides having attractive design, bag hanger can hold a bag weighing 5 pounds though. Second, excess Bag Hanger persit & Bhayangkari also anti-slip and can withstand friction. So the bag was still hanging on the hanger bag despite driven many times. Third, bag hanger persit & Bhayangkari raw materials imported from China and Hong Kong. Various design adapts to the age of the customer segments. 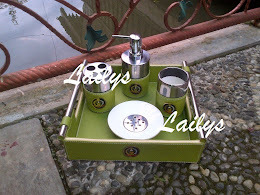 Alhamdulillah My products are sold, ... Demand a great deal, in fact there are some people who continue to buy for souvenirs. ini cukup besar untuk meletakkan tas pada tempat yang aman dan bersih. 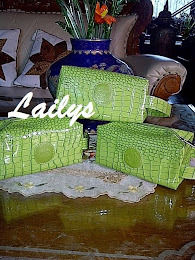 Apalagi jika tas tersebut BRANDED. Pastinya sang pemilik tidak ingin tas tersebut kotor jika ditaruh dibawah lantai. 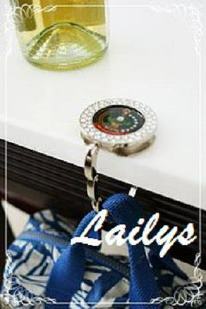 Maka dengan adanya bag hanger ini sanga pemilik tas bisa menaruh di dekatnya dengan cara digantung. Pada tahun 2010 saya mengambil inisiatif untuk membuat logo Organisasi Bag hanger. Dan memang untuk gantungan logo organisasi tas tertentu tidak ada di Indonesia. Gantungan tas adalah pertama kalinya saya membuat adalah Bag Hanger Persit logo dan logo Bhayangkari, dengan kuantitas pembuatan Hanger Bag 1000pc. 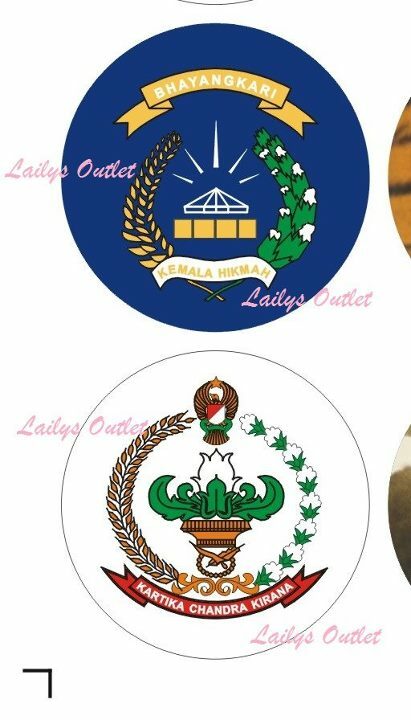 Yang terdiri dari 300pc Persit gantungan Tas, gantungan tas 300pc Bhayangkari, dan gantungan tas 400pc berbagai motif Logo non. Setelah negosiasi dan Berbicara langsung ke Supplier di cina zhow ghuang melalui Telepon, .. Kebetulan tanggal 21 Maret 2010, .. Pemasok gantungan tas bisnis yang ada perlu ke Indonesia, ... Akhirnya, pada tanggal 27 Maret 2010, kami berjanji untuk Memenuhi Pesanan Berbicara Hanger tas, ... janji waktu tempat pertemuan di Starbuck Mall Taman Anggrek kami berjanji untuk bertemu, ... sehingga, hari itu pagi-pagi sekali saya pergi ke Jakarta karena pertama saya harus menjemput mama di Cipinang, ... waktu itu saya didampingi oleh ibu saya, Setelah kami bertemu (Me dan Supplier) dan berbicara banyak tentang Bag hanger, pada saat saya tidak membawa gambar rancangan logo Persit dan Bhayangkari, tapi saya memberikan 2 buah lencana Persit dan Bhayangkari. Saya harap saya peluncuran produk Bag Hanger, bisa booming dan banyak yang membeli gantungan tas ini logo. Alhamdulillah ternyata respon para pembeli bag hanger sangat baik sekali,... mereka suka dengan designnya. Bag hanger PERSIT & BHAYANGKARI memiliki keunikan tersendiri. Selain memiliki desain yang menarik, bag hanger juga bisa menahan sebuah tas dengan berat 5 kilo sekalipun. Kedua, kelebihan Bag Hanger PERSIT & BHAYANGKARI juga anti slip dan bisa menahan gesekan. Sehingga tas tersebut tetap menggantung di bag hanger meski digerakan berkali-kali. ketiga, bag hanger PERSIT & BHAYANGKARI bahan bakunya impor dari China dan Hongkong. Berbagai desain tersebut menyesuaikan dengan segmen usia customer. Alhamdulillah Produk saya sudah habis terjual,... Peminatnya banyak sekali, bahkan ada beberapa orang yang terus menerus membeli untuk souvenirs. Position handover (Sertijab) is an important event that will influence how a person will take the lead. Accept the duties and authority of the Chairman Persit sertijab Persit organization is a sure thing to be experienced by all officers wife. Utilize this opportunity wisely will facilitate the transition process work better. Creating a healthy work environment is a competency that must be shared by all staff in each organization of Persit KCK. 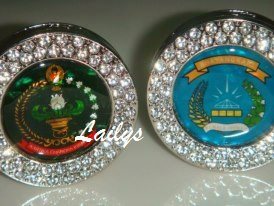 Included are Persit Staff and Army wife officer. Staff Persit and Army wife officer are required to have this capability because of the reality in the field, they are cutting edge services to their members Persit... because Staff Persit and Army Wife Officer more "in touch" with members Persit KCK and their families. Of these, Staff Persit and Army Wife Officer should be able to start from within herself to create a healthy work environment. good communication skills, teamwork / collaboration actual decision making, setting an adequate workforce, mutual recognition and respect among staff Persit KCK, as well as a reliable leadership. 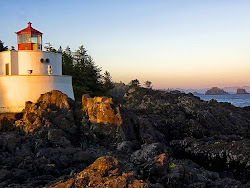 It is nothing new when communication is the key answer to the most powerful tools in an interpersonal relationship, the communication sent a message and receiving messages reciprocal. Communication is considered a "weapon" most potent owned by a Staff Persit. That would be my highlight here is mutual recognition and respect among staff, this aspect is very important and is a fundamental aspect in a relationship. Relationship without mutual respect would consider another superior and the other inferior make the relationship unhealthy working environment. Good relationship with fellow professional or inter-professional helself. Regarding the responsibility and competence, actually I will never hear the difference and have formulated far-away days earlier. But the reality on the ground is far from the truth. All went as it is, like the culture and customs of the existing hundreds of years earlier. Fresh start is sometimes not easy, sometimes it takes a pretty strong effort to let go of personal interests, business aside, the interests and needs of the family kitchen. All that for the sake of progress Persit Kartika Chandra Kirana. There are several things that must be able to be done early to create a healthy work environment, particularly mutual respect and acknowledge among fellow Persit staff. First, since the beginning of a candidate Persit Staff must be included and taught deeply and repeatedly. Keep in mind that their behavior and respect fellow Staff Persit is the most important thing. Do not look where they came from. Second, role model and an example of the Senior Staff at Persit KCK should be able to give you an idea how fellow Staff Persit appreciate and recognize between each other. Wholeheartedly able to open up and share their knowledge to be together. The third is to try to apply what they have learned as well as possible, work with a vengeance and become part of the system working in a balanced and professional. Created a conducive working atmosphere, comfortable and full of family atmosphere. Fourth, bring an understanding of mutual respect and acknowledge fellow Staff Persit into the world of work. Never easy fight, cooperate with each other, look after each other and communicate well. Do not blame others or even dropped Persit Staff reputation among staff. Four things that I think could be the beginning of the self and fellow staff Persit for mutual recognition and respect. After that applied to other professions in a team. Creating a pleasant atmosphere in the office is important. The aim is that you can work well. In addition, the relationship between co-workers also work to be done properly so that the atmosphere in the office is safe and comfortable. 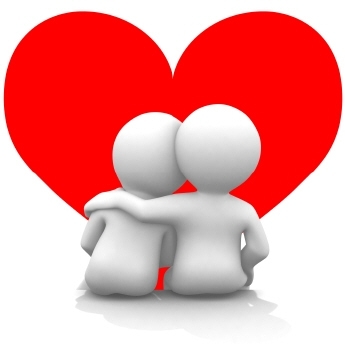 Bad relationships can cause disharmony, disagreement, and other problems. Creating an atmosphere that is not harmonious at the time in the office, it will make you and other colleagues could not concentrate on work. For that reason, it is important to establish a good relationship or friendship among fellow co-workers. Joint meeting with the assembled gathering member of Persit KCK PCBS Kopassus were conducted 3 (three) months intended to strengthen the fabric of silaturrahim between members Persit so expect the presence of such meetings are good relationships silaturrahim and more solid. So that through the spirit of togetherness is able to provide the best for the organization Persit KCK that we love. We should be proud to be a soldier's wife and grateful for the blessings God has given to us. Then the mutual respect both Persit KCK fellow members and in the community and be able to interact and contribute to the well by example and role model in attitude, speech, and action. "Remind husband not to do negative things that will be detrimental and damaging the family name and unit, complete any small problems in the household to achieve a harmonious household. Advantage of the husband's income as well as possible for daily life, avoid waste and set aside some for the purpose in the future. 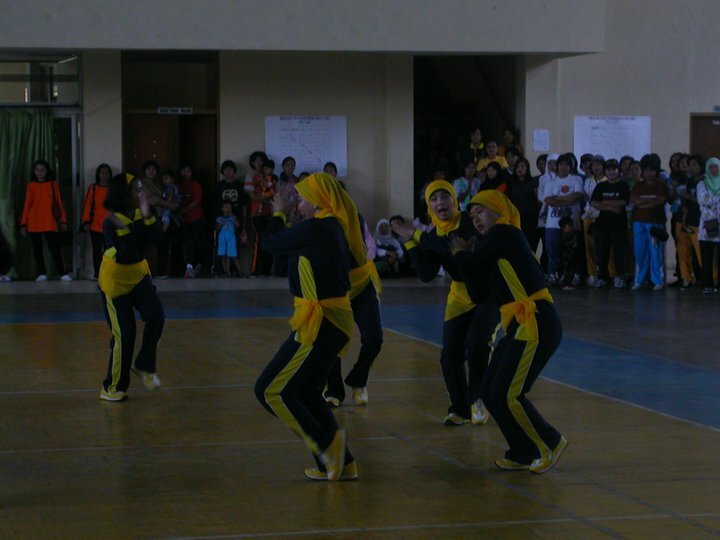 Poco-poco Competition was held in commemoration of the anniversary Persit which falls precisely on the 3rd of April. Competition poco-poco dance was followed by a team Persit KCK Ranting 1, 2, 3, 4 Cabang II Grup-1 PCBS Kopassus. 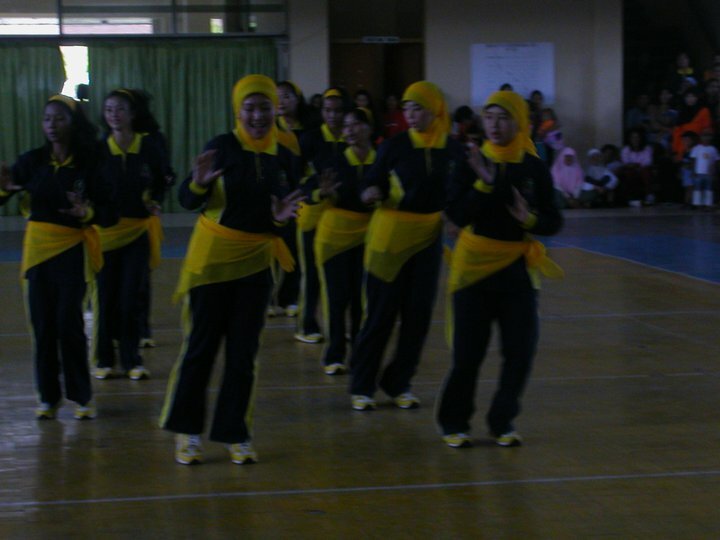 Present at the poco-poco dance competitions around the Soldiers, civil servants who served in the ranks of the board, members of a branch line of KCK Persit Group II-1 PCBs Kopassus. To keep sportsmanship in order to the race running smoothly. proficiency level competition can enhance creativity while maintaining and strengthening brotherhood, unity, and solidarity as citizens Persit KCK. We're dubbing for the entire dialogue in cabaret Persit. Who does not know the country road show in Metro TV? Everyone in In Indonesia surely knows about this show. Dancing with the correct technique will look beautiful. Some time ago in a private TV aired the show "Going Country", with guests in studio dance. But many of those who apparently do not know the correct technique of dance, if only so they move the body, without rules. And the view is visible is a bewildering parade of bouncy body at once ludicrous. Appreciate Country Music with Tantowi Yahya, featuring The Old Friend Band is no stranger to country music lovers as it also featured Joe Arkansas Country Band from Bandung, as well as country singer Pinky Warouw, Baby Astheria, Dinda and others. CMCI Linedancer's led by Norma Sultje, featuring about forty linedancer. We Persit Staff and some of the dancers rampak drum vigorously performing in studio Metro Tv. Before the show, we were taught the dance line dance by Norma Sultje. Persit Kartika Chandra Kirana is an organization of Union Army Soldier's Wife. The Army Soldier's Wife absolutely can not be separated from the Army, both in performing organizational tasks and personal lives. Therefore, the Army soldier's wife should assist the Army in the success of his duties both as a defense and as a component of national development to achieve the ideals of Indonesia. Until now Persit has helped Chief of Staff of the Army in the Guidance wife Soldiers and their families especially the field of mental, physical, well-being and morale. Another is to support the Army leadership wisdom by developing and deploying members of the Army wives struggle, creating a sense of brotherhood and kinship, a sense of unity and national consciousness. Persit activities including activities in the areas of organizational, economic, educational, cultural and social development with the approval of the major adviser Persit Kartika Chandra Kirana or Dharma Pertiwi Trustees and knowledge level. Driven by the desire to achieve organizational goals Iuhur, the wife of Army soldiers determined to fight the increasing union umbrella organization soldier's wife (hereinafter abbreviated Persit) Kartika Chandra Kirana in furtherance of the organization's former Army Wife Unity was established on 3 April 1946 in Purwakarta ° Based Pancasila and the 1945 Constitution and the establishment of permanent fostering. 1. Assist the Chief of Staff of the Army in coaching wives of soldiers and their families in particular areas of mental, physical and moral well-being that can affect the success of the task soldier. 2. 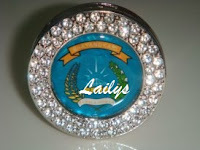 Supports military leaders wisdom to nurture and direct struggle member of the Army wives, creating a sense of brotherhood and kinship, a sense of unity and national consciousness. 1. Engaging the community to realize a just and prosperous Indonesia material and spiritual ° Based Pancasila. 2. Assist the development of the Army as a defense and security as well as a component of national development. 3. 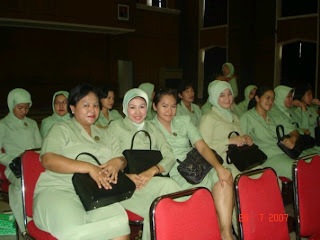 Achieve unity of struggle wives TNI-based sense of kinship, sepenanggungan and arms. b. Her husband was stationed in the Army Iuar Iingkungan but still in active service. c. Her husband entered a period of preparation for retirement and appointed as a reserve officer in active service (DDA). 2. Wife of retired Army assigned as a member on behalf of the union soldier's wife (Persit) Kartika Chandra Kirana with the approval of Trustees President Persit Kartika Chandra Kirana or builder. 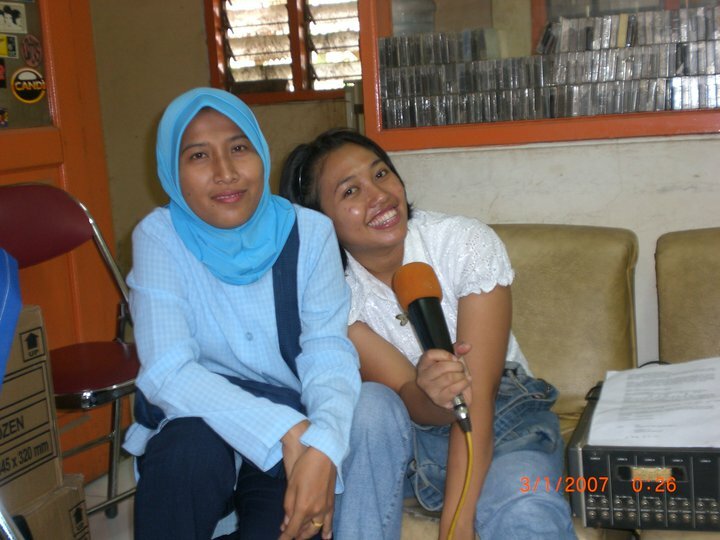 Long ago, when I was in management of Persit KCK Special Froces Group 1st, I Included someone who is very active. I have been always involved in any activities held by Persit Kopassus. And an each occasion I was always asked to sing. Both sing solo or accompanied the leader to sing. One day,.. 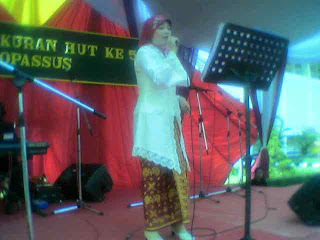 I was invited by the leader Persit KCK, Mrs. Renny Teddy Lhaksmana,..to joined the vocal group that she forms. 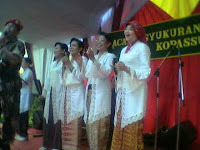 This Vocal Group consists of 5 people of Persit,... 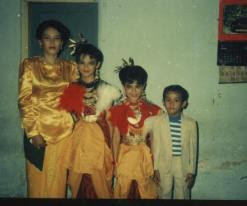 They are Mrs. Renny Teddy Lhaksmana, Mrs. Nugroho, Mrs. Eddy Supriyanto , Mrs. Jono and of course Me as a Mrs. Lelly Akmil Satria. I feel very proud and honored, gained the confidence to joint this vocal group. This vocal group later known as the singers KOPASSUS. 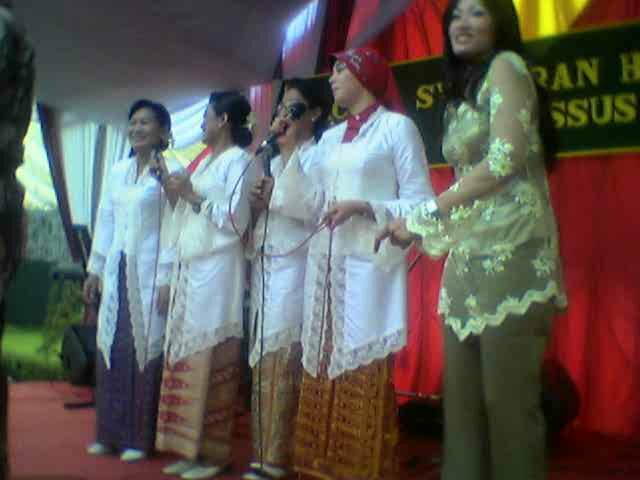 Every great event organized by Kopassus Cijantung, this vocal group always asked to sing. Moreover, only I was the youngest,.. newly married,.. Recently became Persit KCK Cab. 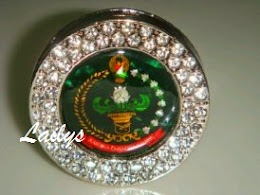 II PCBS Kopassus, and the rank of my husband was still of "Second Lieutenant", and I have not much experience in Persit organization. Therefore, I feel embarrassed at all, when it comes to talking to them, because they more senior. I always keep the attitude, words and my nature, I am always respect to them as a my Leaders and a seniors in order not to disappointment them. Although they treated me well, and is very dear to me,... sometimes they treated me like a child,.. Sometimes they treated me like a daughter or a child of their own. But that does not make me a BIG HEAD, or do not make me do what I like to do. I realized who I am,.. And who's wife. I am always nice, friendly and polite. I also do not want to make my husband shamed. Because I carry a Big name of My husband and family. When the celebration of the 16th Annyversary Special forces at Cijantung-Jakarta, me and our vocals group participated in the event. 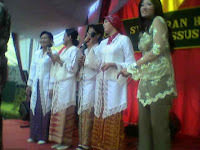 At the appearance, we use white kebaya and batik cloth, to showing our love Indonesian products. And One of the songs that we sang are "Songs for Soldiers" (Lagu Untuk Prajurit). When the first time I heard the strains of this song, which was sung by Mrs. Renny Teddy Lhaksmana, when she introducing this song to me,.. I feel shudder, especially when sung with a full appreciation. This song became one of my favorite song. 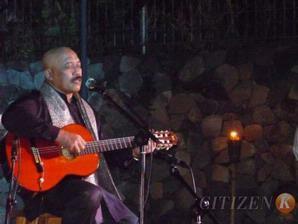 "Lagu Untuk Prajurit" was composed by Iwan Abdulrachman, one of the characters Indonesia Artists. He is more familiarly called "abah Iwan", born in sumedang, West Java, on 3 September 1947. He is a phenomenal writer of songs such as Mentari, Jasmine from Jayagiri, etc.. Legendary singer in the 70-80s range of Bimbo and Vina Panduwinata ever sing his songs. He was known as a lover of the environment. 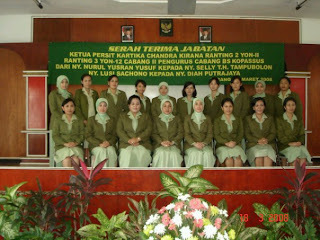 Alumni of the Faculty of Agriculture UNPAD is attended various military courses that take place in America, and England, and in Indonesia itself. He also became an honorary member KOPASSUS. At the age of 64 years stepped on, he did not just sit back on the porch, or struggling with a serious illness. Even the father of five children, has not wanted to stop up the mountain, although now no longer up to the top. 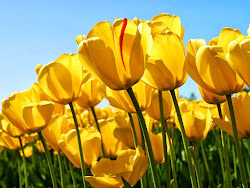 Among the multitude of activities, the most important thing for him was grateful and pray. Until he kept trying to fill a life time with meaningful activities. I hope this song can provide encouragement for soldiers training under conditions however. Until always "Ready!" Anytime and anywhere as well. Be patient and persevere ...., be patient and persevere. Soldiers like bullets, press the trigger shot no doubt. The task at the behest. No matter what no matter who, what, how, when, where. God with us. Saya lahir di sukabumi kota, di rumah sakit kecil bernama "Rido Galih", pada tanggal 10 Desember 1977. Saya anak tertua dari enam bersaudara. Nama ayah saya adalah Ondang Sutarsa ​​dan nama ibu saya adalah Nina Herlina. Orangtua saya keturunan Sunda asli. Saya dibesarkan di sebuah keluarga religius dan sederhana. Bagi saya dan keluarga saya, musik adalah bagian dari kehidupan kami. Saya suka menyanyi. Saya sering bernyanyi dengan adik-adik saya. Saya menyanyi sejak usia 11 tahun, ketika masih bersekolah di SD kabluk 3-4 Semarang Timur, kelas 5 SD. Suatu hari ayah membawa pulang, alat musik keyboard dari kantor,.. sejak itu setiap jam 4 sore kami bertiga diminta untuk latihan nyanyi. Suasana rumah menjadi hangat dan ceria saat mulai terdengan alunan musik dari keyboard yg dimainkan oleh ayah saya. Terkadang jika pulang sekolah,.. saya suka diam-diam latihan keyboard sendiri, keingintahuan saya akan keyboard cukup tinggi saat itu. Saya ingin mahir memainkan alat musik itu. Sempat terpikir ingin menjadi pianis, tetapi ternyata jalan hidup saya tidak menuju kearah sana. 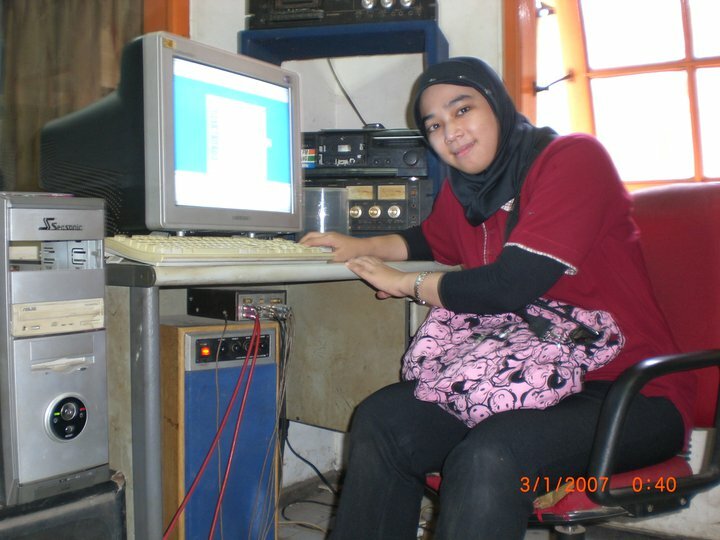 Jika sudah mulai terdengar suara mobil ayah saya memasuki garasi, saya buru-buru mematikan dan menyimpan kembali keyboard itu. Takut dimarahi karena memainkannya secara diam-diam. tetapi lama-kelamaan ayah saya tahu,... ketakutan saya tidak terbukti,... beliau tidak memarahi saya namun membantu saya mengajari bermain keyboard. Akhirnya dengan niat tinggi, tekun berlatih,... dan berlatih,.. sayapun mahir memainkan alat musik itu, tanpa melalui kursus. Debut pertama kami sebagai penyanyi "Trio", ketika diminta menyanyi di malam acara lepas sambut komandan kepolisian di Poltabes Semarang. Saat itu ayah saya terbentuk dalam suatu Grup musik "The Bojonk" milik poltabes semarang. Sejak penampilan pertama itu saya dan adik-adik saya sering diminta untuk menyanyi dalam suatu acara yang diadakan oleh Poltabes. Disamping itu juga sering menyanyi untuk memeriahkan perayaan HUT Kemerdekaan RI 17 agustus di komplek perumahaan kami, di Aspol Kabluk Semarang. Nama kami bertiga bersinar saat itu, alhamdulillah dari hasil menyanyi dapat membantu orang tua, membeli sebagian peralatan sekolah, dll... tetapi lebih sering kami berikan kepada orang tua. Tahun 1990, Ayah saya pindah tugas ke salatiga, sebagai wakapolres salatiga saat itu. Ketika itu saya murid baru di SMP negeri 1 Salatiga. Dengan kepindahan kami ke salatiga, intensitas kami sebagai penyanyi Trio semakin sering, karena setiap ada acara di Polres Salatiga, kami pasti diwajibkan menyanyi. Pengalaman menjelajahi dunia tarik suara buat saya dan adik-adik saya, itu berkat bantuan kedua orang tua saya, bagaimana mereka dengan sabar mengajari kami trik-trik suara, pengambilan napas, vibrasi dll. Barulah aktifitas sebagai penyanyi Trio berhenti, ketika saya masuk SMA. Saya mulai disibukkan dengan aktifitas di sekolah. Ketika usia 17 tahun, ayah saya berinisiatis merekam lagu-lagu yang kami buat sendiri. Rekaman itu hanya untuk jadi koleksi pribadi keluarga kami saja. Kegiatan menyanyi dan bermain musik hanya untuk mengisi waktu luang saya di rumah. Hanya adik saya saja "Indra" yang sering tampil menyanyi solo. Dia juga sering ikut ajang kejuaraan menyanyi dan sudah banyak piala penghargaan yg didapatkannya. Setelah lulus SMA,.. saya melanjutkan kuliah di Bandung. Saya mengambil D3 disalah satu perguruan tinggi di bandung, mengambil jurusan Perbankan. 3 tahun saya menimba ilmu dan berhasil mendapatkan Gelar D3, kemudian saya melanjutkan pendidikan S1 di Universitas bandung raya, mengambil jurusan ekonomi manajemen. Tahun 1998, Secara tidak sengaja Saya Jatuh Cinta pada seorang pria. Yang saat itu dia sengaja menelepon ke kost-kostan saya, dan mengajak saya kenalan. Setelah berbicara panjang lebar dengannya,.. belakangan saya tahu namanya Akmil Satria. Jujur, ketika saya masih SMA, saya banyak mendengar mengenai dirinya. Disini Saya tidak akan banyak bercerita panjang. Namun saat itu adalah jatuh cinta berat yang paling parah yang pernah saya rasakan. Dalam hidup saya hanya sekali jatuh cinta, yakni pada suami saya. Kalau dipikir-pikir pertemuan kami seperti kisah dongeng. Tahun 2002, tepatnya di lampung 12 oktober 2002, Akhirnya kami menikah. Saat itu ayah saya menjabat sebagai kaditpers polda lampung. Mendapat restu dari Allah, orang tua dan banyak tamu yang menghadiri pernikahan kami. Hanya kebahagiaan yang kami rasakan. Disinilah dimulai babak baru perjalanan hidup saya sebagai seorang Persit kartika Chandra Kirana. Menikahi seorang anggota TNI berarti harus siap segala sesuatunya. Semua kita lakukan dengan ikhlas, terkadang kepentingan pribadi harus terkalahkan demi besarnya cinta kepada suami. Saya bersyukur pernah menjadi bagian dari Keluarga besar Grup-1 Kopassus. Disinilah saya di tempa. Persit telah memberikan saya bekal, wawasan yg cukup besar. Pengalaman itu tidak akan mungkin dilupakan dan berguna bagi saya. Saya sungguh berterima kasih kepada Persit yang telah mendidik saya. Sebagai anggota Persit kami selalu mendapat arahan, agar dapat mendorong suami dalam bekerja dimanapun mereka berada. "Di sinilah peran nyata yang harus ditunjukkan istri prajurit. Jangan pernah memberatkan tugas suami, karena mereka bertugas untuk membela negara. Seringnya istri prajurit ditinggal tugas oleh suami, mengharuskan istri-istri para prajurit lebih kreatif untuk mengatur manajemen keluarga dan mendidik anaknya. "Pengalaman saya waktu ditinggal suami ke Irian Jaya membuat saya menjadi tegar dalam mendidik anak dan menjaga manajemen keluarga. Once, when I was married, never thought I would have children as like what ... ? When he was born into this world, ... The first time I saw a cute little baby, ..
with his tiny lips smiled sweetly at me, .. cute nose, .. his eyes were narrow, .. There is a feeling churned in me,.. I was thrilled and proud to once be brought him into this world,.. I promise, whatever happens,... however hard life,.. I know It's not easy to raise them, ... They are the jewel of my heart, .. 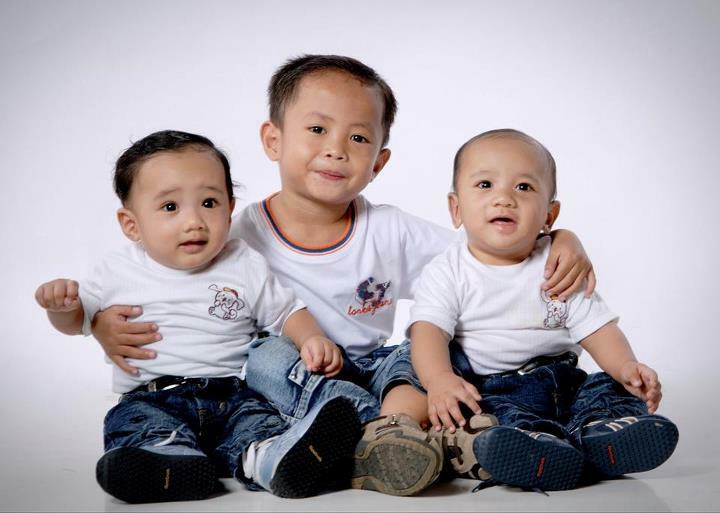 When they were babies,.... their behavior can always make me smile and laugh, ..
ferdi, ... Aldi, .. and Aldo, ... you all, gave me the strength,.. I do not fear if I must sick,.. feel the pain and suffering ..
My heart really excited and happy to hear that. When you are all grow up and become an adult.., you can be a good Person,..
Have a good live,... good job,.. have a good and successful on career. My Body More Fatty than now,.. my hair was already gray too, ..
And My journey will not be long, ..
My sons,... if you all work hard,.. do not need to provide a nice house,..
Or lots of money to me,.. all of its just for yourself and your family. May never have spoken through words,.. but this .. I feel from deep inside my heart.. ... I'm sorry if this time momy always got angry with you all,..
you can read this momy's blog ... Ferdi,.. Aldi,.. and Aldo,..
Mommy Love you all... from deep inside my heart... Now and forever,.. If you can trust someone fully, then you can love them fully. A relationship full of fear, suspicion, and anxienty just leaves you unhappy and your partner feeling emotionally trapped and suffocated. You have to believe that you and your partner will last forever and they will take care of you emotionally. Before committing, think "Do I trust this person with everything that I am?". If you are sure and trust, then you are ready to be in a happy, commited relationship. Learn to believe your partner and let them do what they need to do to fulfill their happiness and you are sure to result in a happy relationship. But Sometimes no matter how hard you try to fix your relationship it just doesn't work out. When you are left with a broken heart and just don't know how you are going to make it, hold your head up high and try a few of these ideas to help you get over your break up. 1. Start a hobby. Try something you have never done before! Art, writing, painting, crafting, or collecting are a few things to consider. 2. Go to mall and shopping not only boost yourself esteem, it also gets you out and around people, opening up opportunities to meet somebody new. this not only takes up time but it will help you feel better about yourself and get you out of the house. 3. Pamper yourself. Get a new haircut and have your nails done. If you can’t afford to go have them done, do them yourself! Set up some nice music and treat yourself to a bubble bath followed by a nice manicure. 4. Reach out to your friends and family. Most of the time when we are involved in a major relationship we neglect our friends and family… They probably miss you and will welcome seeing you more often. 5. Break off all communications with the “ex” for a while. It is hard enough to forget them and move on, but when you are still in communications you are doing nothing more than prolonging it. Set up a “fake” number on your phone for when you feel the need to text them. When you feel like calling them, write a letter instead and then burn it. Do whatever you have to do, just do not contact them! 6. Start your own website. I know that seems kind of silly, but there are so many places to make free websites and they can take up a lot of your time. Start one about your favorite animal, or one that has you favorite recipes. Start a forum with your friends and have them post as well. It will take up your free time and give you something to look forward to. REMEMBER YOU DESERVE THE BEST AND SETTLE FOR NOTHING LESS! Dreams are today's answers to tomorrow's questions. We all have dreams. But in order to make dreams come into reality, it takes an awful lot of determination, dedication, self-discipline, and effort. A dream doesn't become reality through magic; it takes sweat, determination and hard work. Throw your dreams into space like a kite, and you do not know what it will bring back, a new life, a new friend, a new love, a new country. My name is Lailyana Ayu Dewi Iriane. You can call me Lelly. I am a single Mother from three handsome kids. They are M. Ferdiansyah Rachmatul Firdaus, Ferraldo Tri Sakti Wiratama Akmil, and Ferraldi Adi Makayasa Akmil. We live in Sukabumi, For while we stay at My Parents House. I am The eldest from 6 siblings, three sisters and three brothers. My hobbies are listen the music , watch movie and comedy because all that make me happy and entertain my self . I have pleasant personality. I am very friendly, sometimes I am shy if I meet new people. I also fairly outgoing but not dominating, I am confident. I also intelligent so I have a lot friends. sometime I become annoying person and selfish. I like study hard ans I smile a lot. I graduated from SMA 3 Salatiga senior high school. My future plans are very definite, first I am going to improve English and then start my business. I want to live happy forever. Being Persit KCK Grup-1 Kopassus is my pride, the memories that I will never forget, because too many sweet and wonderful memories during my life there. The people are friendly and nice. Being one of a Persit KCK made me learn to be more resignation, courage, sincerity and surrender to what God outleined for me. Right now,... I am just the ordinary people, just a single mom,.. and I will always strugle with this life,.. 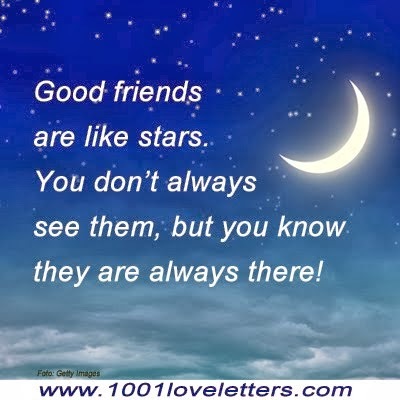 Friendship is what I value the most, A friend is someone who remains steadfast, In our times of joy or sorrow. Good friends are Not easy to find, A real friend would forgive, If I did something wrong. for friendship I hope will never end, you are such a wonderful friend. Good friend chides us at our follies. Corrects us if we err. A true friend is like a shadow. We keep him abreast of all are plans. To whom we can confide our woes. And share our happiness. We find solace and strength. If we have a good friend with us. As the old adage goes,.. A friend in need is a friend indeed,..
Tatkala seorang perempuan diperintahkan agar mentaati suaminya, serta berbuat baik padanya, mencari keridhoannya, dan mempergaulinya dengan cara yang bagus, maka seseorang suami juga di tuntut untuk melakukan hal yang sama kepada istrinya, bersikap yang lemah dan lembut padanya, sabar atas sifat buruk yang sudah menjadi wataknya, serta perkara yang lainya. Dan yang tidak kalah penting lagi adalah menunaikan kewajiban pokokya yaitu memberi nafkah, pakaian dan tempat tinggal, serta mempergaulinya dengan cara yang bagus. Love is a feeling that should exist in every human being, he is like a drop of dew that fell from the sky, clean and pure. Only diverging tanahnyalah receive. If he falls to the ground is barren, because the dew growing lawlessness, lies, deception, steps and other blameworthy oblique case. 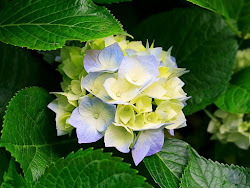 But if he falls to the ground is fertile, will cultivate purity of heart, sincerity, faithful high moral character and other commendable temperament. He is the one whom Allah has sent to me, which has God fearnes, good hearted, soft spoken, smart, has good knowledge of his skill and good knowledge of Islam. Will treat his wife and family under Islam rule and caring them under Allah blessing. Every his behavior just want to get ridho Allah for he and his family happiness in this dunia and the day here after, akhirat. InsyaAllah. Do his best for this beautiful religion, Islam. I believe, ALLAH unites us with our spouse through thousand ways. Just submit My Destiny to HIM. amin.